Starting The Journey with Starbucks Coffee! Big thanks to Starbucks for sending over a bunch of goodies so that I could share them with you today! My coffee time involves a lot of creativity, a little bit of love, and a lot of enthusiasm. By that I mean, when I make Starbucks coffee at home, it's the same great taste they offer at the coffee shop but on my own stomping grounds while doing the things I do best. I get to hang out and relax, cozied up with a blanket and my Starbucks coffee in hand while working on an upcoming project or run around town with a to-go cup of joe in hand while gathering supplies for a day of fun. Starbucks helps fuel my daily adventures. 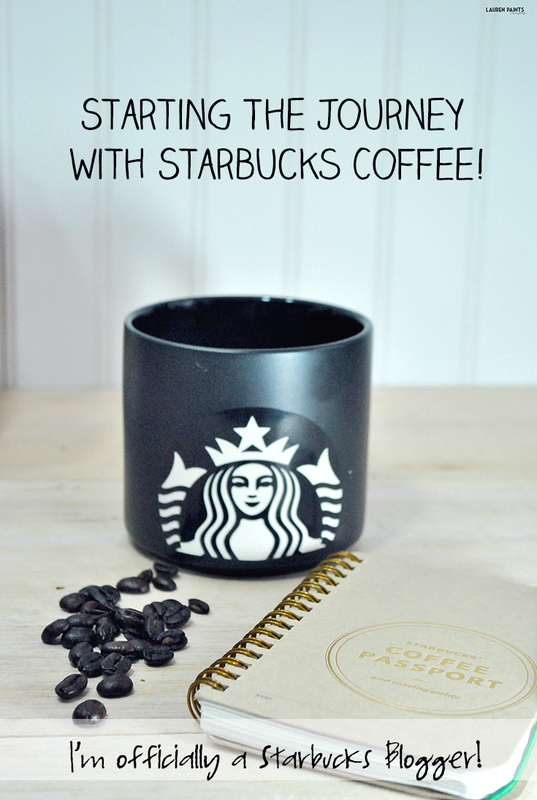 So as you can imagine, when Starbucks asked me to be a part of their blogging community I was overwhelmed with excitement! When the first box arrived, I was even more excited. 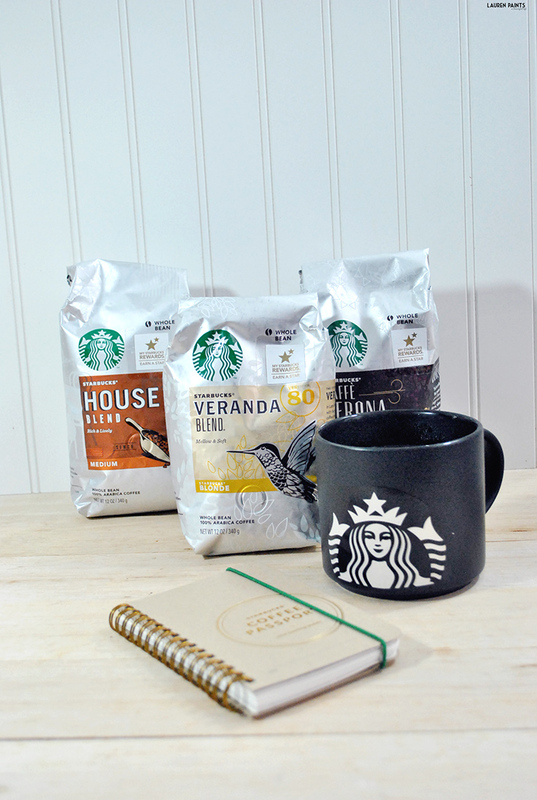 Stocked full of the Starbucks originals, The Core Coffee Series which includes The Veranda Blend, The House Blend, and The Caffe Verona Blend. 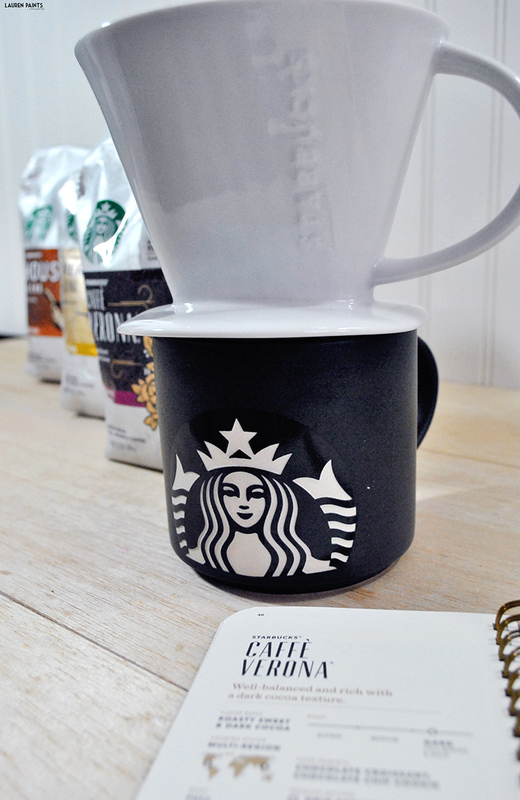 The line up of coffee that every Starbucks lover needs in their home. They also sent over a "Coffee Passport" to help me explore the fundamentals of coffee, an adorable "mermaid" siren stacking mug, a pour over brewer with filters, and an awesome yearly calendar. 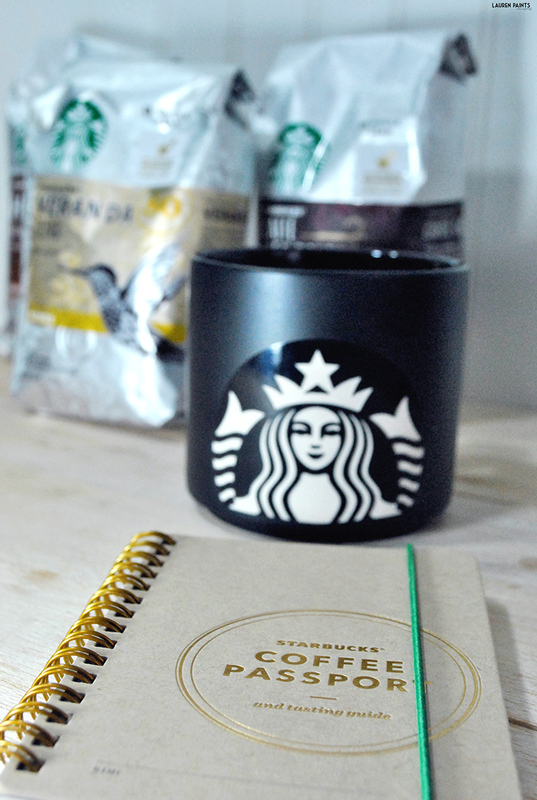 Everything I need to make my home into my version of Starbucks. 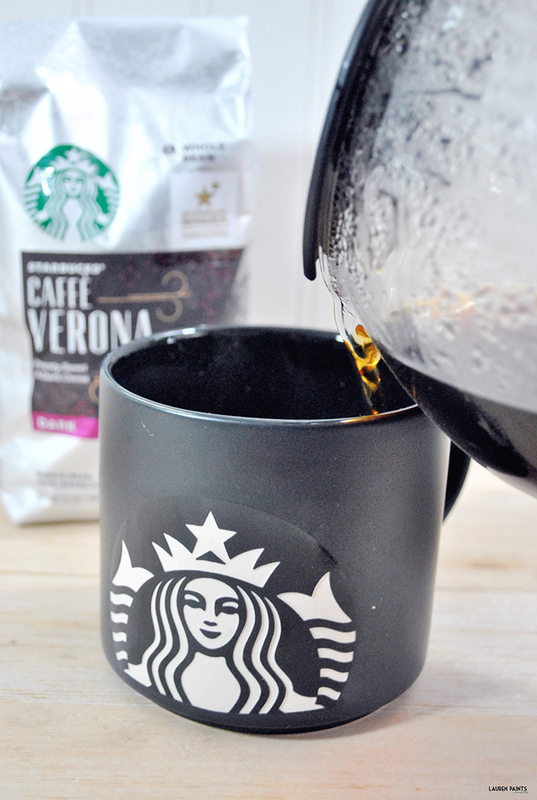 I'm super excited to be sharing awesome stories and information about Starbucks as I take part in their blogger program, with so many different types of coffee to try you can bet that a recipe or two and maybe even a craft project are in the works! Did you know Starbucks has a pretty amazing mission statement? While some people may not care, I've always been one to stand behind a brand with a passionate and inspiring mission statement, a brand that really knows what they stand for. I'm a Starbucks fan and always have been, but now that I know their mission is "to inspire and nurture the human spirit - one person, one cup, and one neighborhood at a time", I'm a lifelong devotee to the Green Mermaid. They don't just want to inspire and nurture their coffee drinkers, they love build lasting relationships with the farmers who grow the world's finest arabica beans as well. Making the world a better place, one cup of coffee at at time. So now that I've brought up everyone's favorite coffee and I have you craving it, I'd love to know what's your "usual" when visiting Starbucks? What's your favorite blend to make at home?